Researchers in Southampton are tackling one of the biggest questions in dementia research; why might current approaches in Alzheimer's trials be failing? The new study is published in the Journal of Pathology and funded by Alzheimer’s Research UK and the Medical Research Council. The researchers, led by Dr Delphine Boche at the University of Southampton, wanted to understand the results of a clinical trial that took place over a decade ago. 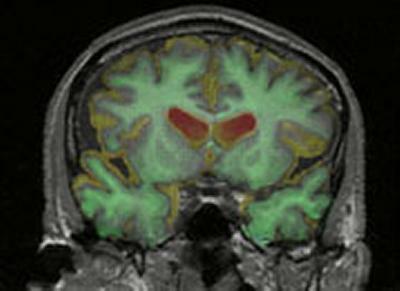 The original trial involved a vaccine, which employed the body’s own defence mechanisms to remove amyloid – a hallmark protein in Alzheimer’s disease. Unfortunately, despite clearing the culprit amyloid protein from the brain, the vaccine did not improve symptoms experienced by people living with Alzheimer’s and even caused brain shrinkage in those taking the drug. This finding raised many important questions about the future of Alzheimer’s drug development. Dr Boche has been investigating what happened in the trial, to fully understand the effects of the treatment and learn lessons that could be invaluable for the newer treatments in development today. By looking at brain tissue generously donated by 11 people who took part in the original trial, Dr Boche found that as well as removing amyloid from the brain, the vaccine caused nerve cell death, which could explain the brain shrinking observed in response to the drug. Although the shrinkage was originally viewed as a devastating side effect of the drug, the new research demonstrates that it was caused by already damaged cells being killed and cleared from the brain. Closer investigation suggests that it is the brain’s immune system, activated by the vaccine, which kills and clears the damaged nerve cells. Encouragingly, detailed analysis of the brain tissue also revealed that this ‘detoxification’ system of clearing damaged cells improved the health of nerve cells that remained. The team behind the work believe that if the vaccine had been given earlier in the disease, then these improvements in nerve cell health could have translated into improved symptoms. Dr Delphine Boche, Associated Professor in Clinical Neurosciences at the University of Southampton, said: “These new results illustrate the complexities involved in developing treatments for Alzheimer’s disease. By looking at brain tissue donated by people who took part in the original clinical trial, we have learnt so much about the effects of removing amyloid, the hallmark protein in Alzheimer’s, from the brain. We have shown that this vaccine led to the death of damaged nerve cells and also improved the overall health of remaining nerve cells in the brain. This raises the possibility that if the treatment had been given to people at earlier stages of the disease, then its effects in the brain could have slowed the deterioration of symptoms.